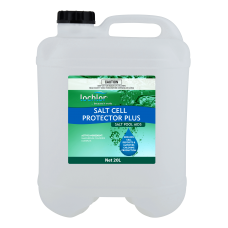 As well as limiting the build up of calcium scale on salt chlorinator cells, salt cell protector plus will soften any deposits, making them so much easier to remove. Extremely economical product to use. Lo-Chlor Salt Cell Protector Plus increases chloride concentration in water-enhancing chlorine production. Does not contain sulphates like Epsom salts. These Sulphates can attack cement and grout, which will in turn deteriorate over time. Helps protect marble sheen and exposed aggregate surfaces from scaling. Salt chlorination has overcome the limitations of hand-dosing through the on-site production of chlorine. Current estimates place salt chlorination in over 60% of all pools in Australia and New Zealand. Lo-Chlor Chemicals has the most advanced range of specialised salt water treatments to service all your pool and spa needs.